Inspired by Lene Kaaberbøl’s ghoulish fantasy books, Vildheks follows the adventures of a girl who discovers she is a witch (sounds familiar somehow). 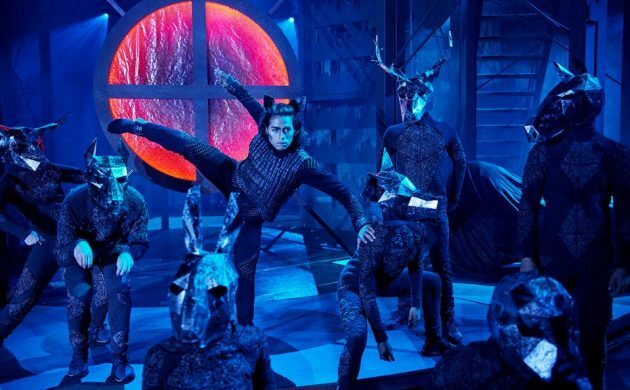 Suitable for children aged 9-18, this is quite a big production by a respectable theatre. See website for details. Meanwhile, the hugely popular Norwegian TV/social media series SKAM is hitting the stage. Presumably the audience are obliged to bring a smartphone. Suitable for children aged 15-18, something tells us the average age of the audience will be 13. Hit the website to find out more. The Buster Film Festival predates the ongoing CPH PIX film festival, but recently joined forces to give whole families excuses to go out. This year Buster has over 130 movies, from young adult to clappy fare for toddlers. Come bring the entire family to this children’s workshop at the National Gallery of Denmark to paint pictures or create sculptures of the entire family. There is even an opportunity to paint a fantasy family.